Florists, now is the time to start preparing for Valentine’s Day! It is important to be ahead of the Valentine’s Day flower rush! Valentine’s Day is one of the busiest and possibly the most profitable holiday of the year next to Mother’s Day. 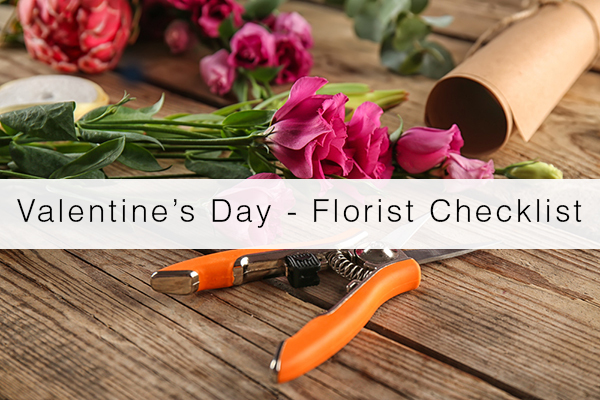 Read on for a step-by-step checklist to help you maintain organization, increase your flower shop profits, and have a smooth, successful Valentine’s Day. 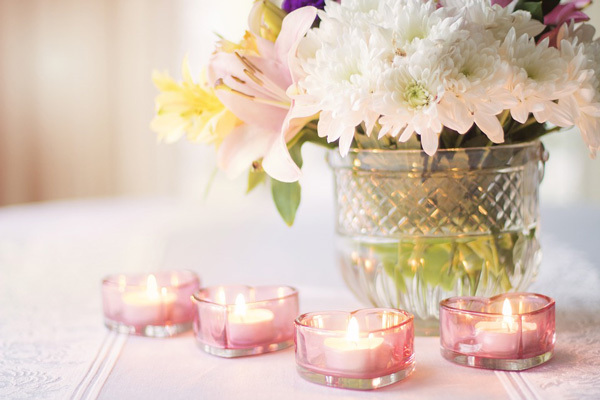 Valentine’s Day Decor: Mid-January is the time to start decorating! Customers respond to festive seasonal and holiday decor, so go ahead and add your special touches. If feasible, a beautiful and eye-catching window display will attract more walk-ins. The key is to create an inviting atmosphere and remind customers Valentine’s Day is approaching. Order Flowers: Here again, it’s best to get started on your quantities in mid-January. Ask for price breaks from your suppliers and be sure to order all you need, but be careful not to overdo it. Be smart, buy smart! 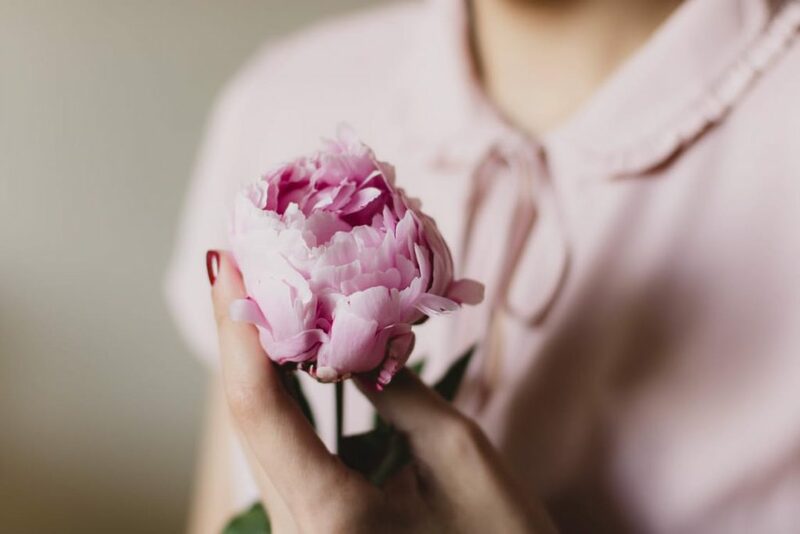 Try a Flower Auction: Due to the large quantities you must buy in order to get a great deal, flower auctions are perfect for holidays like Valentine’s Day roses. Once again, ordering early is key. Order Supplies: Make sure you have good tools, and all the prep supplies you need: wire, tape, oasis, flower food, etc. Besides your tools and prep supplies, you will need vases and containers. Order your standard vases and shop at home decor stores for unique finds. Order Add-Ons: Do not forget to order new plush, candies, chocolate, balloons and candles. Anything can be an add-on! Cross-selling creates huge profits and these items will generally last from one year to the next. If you can, invest in quality products and watch them sell. 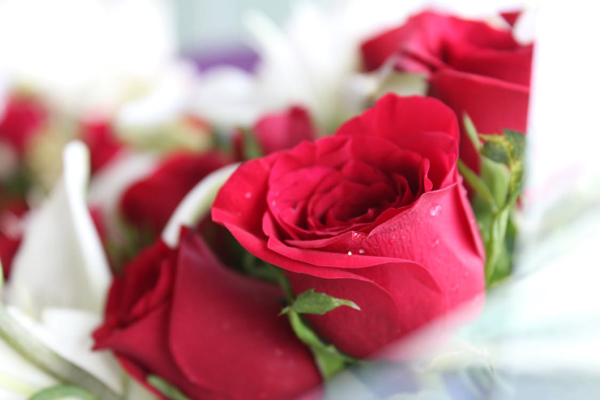 Ideally, it is best to have your floral eCommerce all set and ready for Valentine’s Day before February 1st. However, it is never too late to make a few tweaks to your website to attract customers. Remember to implement some Valentine’s Day keywords for your SEO. Website Products: Start with your Valentine’s Day product images. These should be displayed prominently throughout the website. You might consider adding Valentine’s Day products to your Bestsellers and Birthday pages, and any other pages you like. 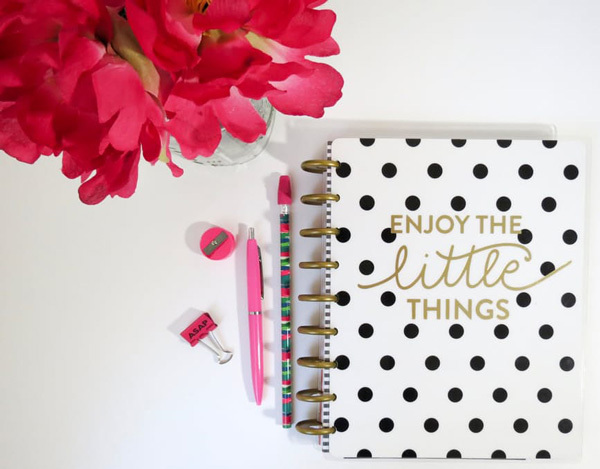 We recommend peppering your pages with Valentine’s products, while also using a dedicated Valentine’s Day page. 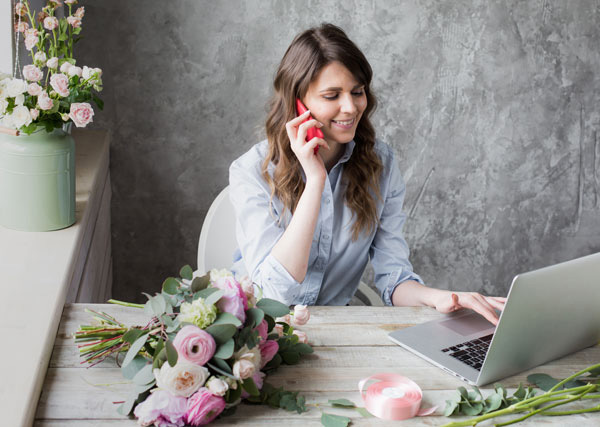 Call to Action: One great practice is to have a call to action on your floral eCommerce. Add an invitation to “Shop Now for Valentine’s Day Flowers” which will direct customers where they need to go. Make sure Valentine’s Day is clearly shown on your site’s navigation bar so customers have easy access to the page. Clear Valentine’s Day Policy: If your policy for deliveries isn’t front and center on your website, now is the time to correct this. Remind your customers that you can’t guarantee delivery at a specific time. Encourage them to pick a range of time (ie. “Valentine’s Day Delivery Guaranteed between 9:00am and 5:00pm). Promotions: We encourage you to add an early bird special. Unlike other holidays, Valentine’s Day is one day which can get very busy. Having customers select a different delivery date spreads the holiday throughout the week. Offer a free delivery or percentage off for anyone who opts for delivery before February 14. 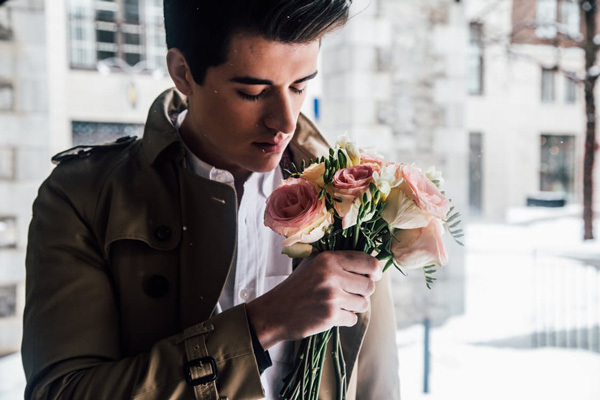 Pricing: If you are charging more for Valentine’s Day flowers, make sure your floral eCommerce has holiday pricing enabled. Employee Scheduling: By February 1st, discuss what will be required of your employees. Most flower shop employees understand the importance of this holiday, but it pays to have instill a clear understanding of days and times they must work. 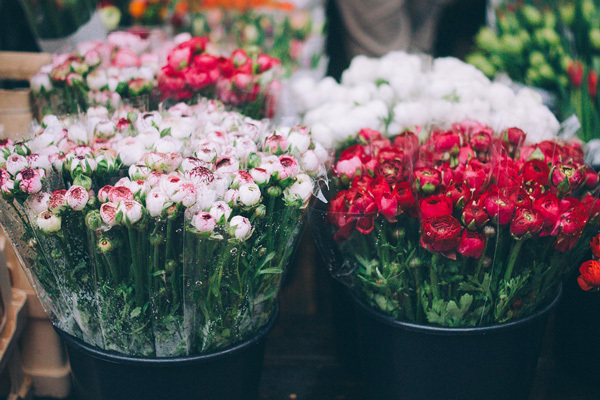 Cross-Selling and Upgrades: Valentine’s Day is a such a busy holiday in a flower shop that sometimes cross-selling or upgrading can slip your mind. 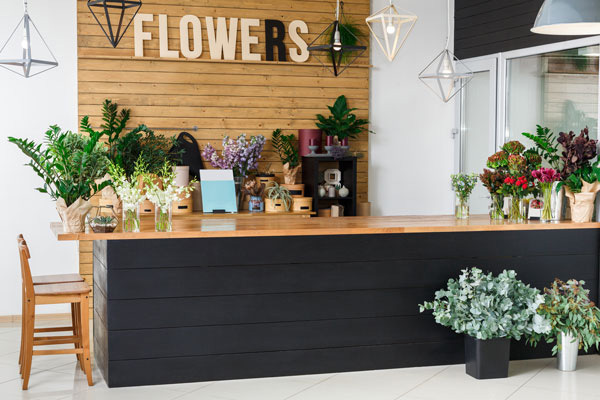 We encourage you to make upgrading and cross-selling a priority in your flower shop. Every employee should offer a customer more with every sale. Extra Help: Hire any extra help you need for Valentine’s week: front counter help, designers, and delivery drivers included. Make sure to go over all that is required, including scheduling. Prep Your Flowers: When your flower supply arrives (around the start of February), be sure to quickly prep all your flowers and do not cut corners. Prepping is the key in selling beautiful long lasting flowers. How to flower prep. Supplies: Cut your ribbon ahead of time for easy access. Stage your containers and make sure you have enough—the same goes for pins, plush, candies, and so on. Get to Greening: Practiced by many florists, green vases before the holiday. Greens are very long lasting, and doing this ahead of time will save you some valuable time (be sure to keep all pre-greened containers and vases in your cooler). Get Your Display On: The week of Valentine’s Day, create bundle deals and display them throughout the shop. Add special offers for roses purchased with plush, candies, or any combination. Make sure these are visible for easy purchase for walk-in customers. Single Roses: A big seller from many florists has been the single wrapped rose. Pre-make tons of these and place them at your front counter. These sell quickly and most customers will almost always purchase an add -on to go along with the single wrapped rose. Be sure to display them close together. Tip: Wrap single colored roses as well. Customers love these, with the color pink trailing right behind red. Delivery Route: Look over the orders you currently have and make a set plan with your drivers on what areas they are delivering to. Remember more orders trickle in the day before Valentine’s Day and day of, so be as organized as possible, with the delivery routing for each driver. Tip: If you can, we advise having a standby driver at the shop, this driver will handle all new orders that come in on Valentine’s Day. Attire: Why a section on attire? We want you to be comfortable! Please wear proper shoes. Do Not allow employees to wear open toe shoes, this can be an insurance liability. Be comfortable and wear closed toe shoes. Don’t Be Wasteful: With the orders piling up it is so easy to be wasteful, make sure to use what you need. Amazing how many flowers and supplies are simply thrown on the floor and then thrown out. Discuss the importance with your employees on not wasting products, this all cuts into your bottom line profits. Watch Your Finances: We know you’re exhausted, but don’t forget to check your daily sales for each day leading up to Valentine’s Day. Keep clear reports on all accounts payable and accounts receivable. All the preparations have paid off! Valentine’s Day is here! Everything Will Be Great: Florists by nature tend to be perfectionists. Our advice is everything will come together. The day will fly by so enjoy it, focus on your task at hand rather than feel like you have to be doing everything. Keep Up the Sense of Humor: Do not sweat the small stuff. Things can happen and they are all part of the Valentine’s Day flower shop process. Treat Employees to Lunch: This is great for the fellowship in the flower shop and also keeps employees from venturing out for lunch. Delivery Confirmations: If you participate with a floral wire service, be sure to confirm all your delivered orders. Doing so will keep you from being charged high non-delivery confirmation fees. Most floral wire services have a time that they need to be confirmed by, so please do this accordingly. 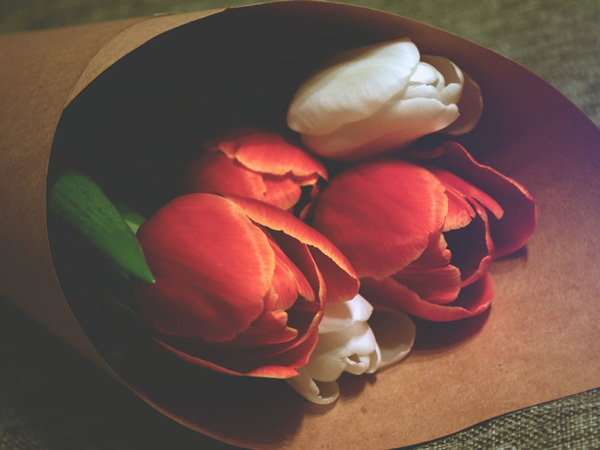 Florists, have any great Valentine’s Day tip to share with our readers? Please post your feedback below, as it is so important to us! We would like to wish all florists a very lucrative and successful Valentine’s Day! Top 5 Florist August Checklist Tips! As all florists know being ahead of the seasons is part of the industry. August is a great month to prepare for the fall and double-check your flower shop’s needs. With June being taken over by graduations and weddings and vacations in July, August is a great month for you to dot your Is and cross your Ts for the months ahead. September tends to sneak up on florists. The rush comes in, or perhaps you had a great idea for marketing that you just couldn’t get to. August is a great month to get to some organizing, marketing, and peace of mind. 1. Sell a New Floral Product! Nothing motivates new customers more than new offerings. The same goes for the flower shop staff: excitement, intrigue, and passion will help you sell. Place your orders now so you are all ready for the new product sales to come September. Think about offering something new. 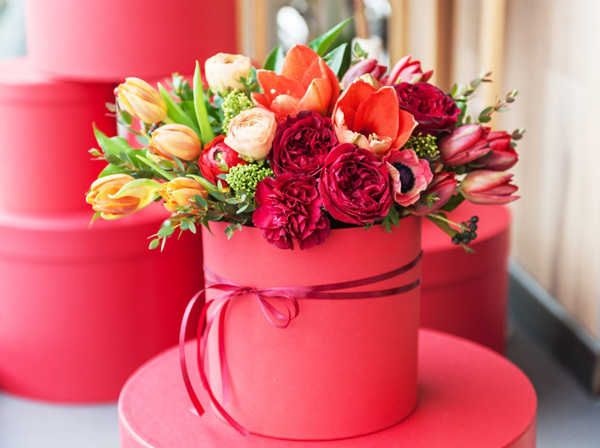 We love the idea of floral boxes, for one—these are really popular with consumers and also allows for adding your logo which is double marketing. 2. 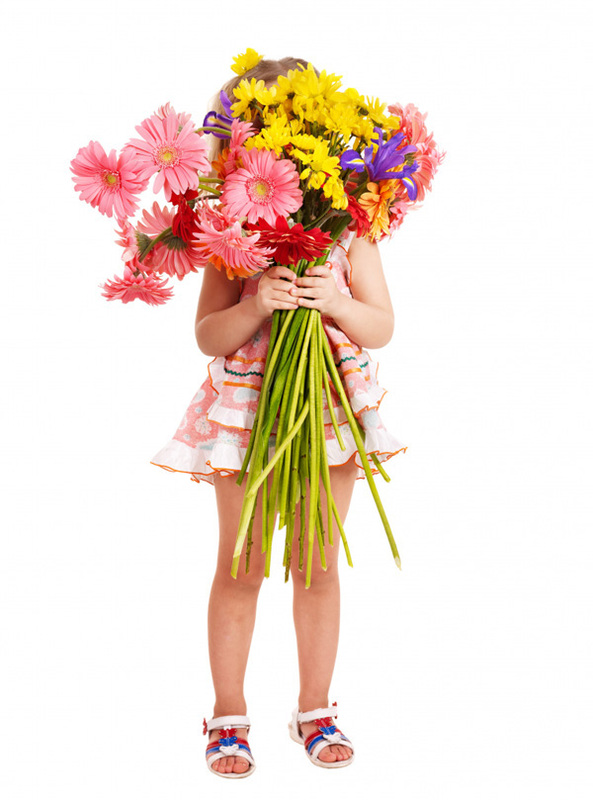 Reanalyze Your Floral Website! Take a good look at your floral website. Is it captivating to you? Is it easy to browse and checkout with? Do you have enough content? How are you showing up on search engines? These can be difficult questions to answer, but your website is your online store open 24/7, and a direct expression of your brand. Check your ranking on search engines, check your reviews, and be vigilant in making sure your floral website represents you. We can not encourage you enough to have a blog on your floral website, blogs are awesome because you can discuss any topic. Blogs help your website list better on search engines and ultimately gain your brand great notoriety. 3. Create a Showcase Entry/Window Display! 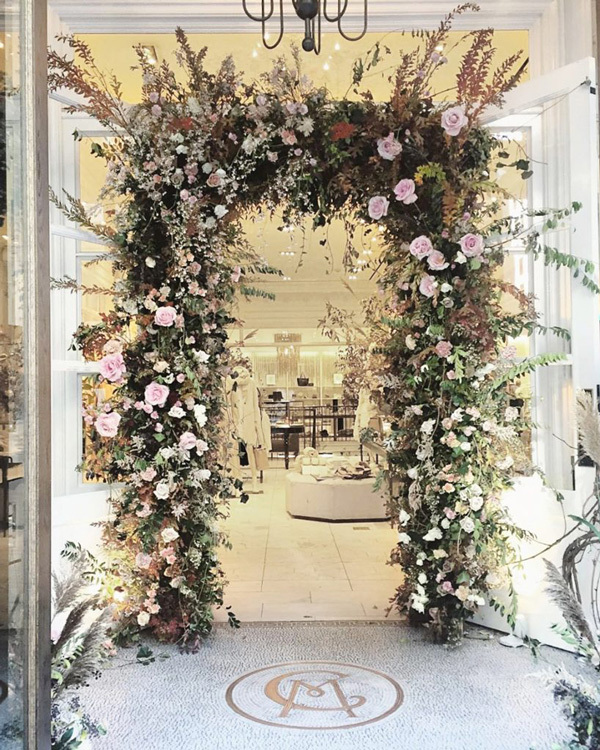 If you can get your creative juices flowing with floral specific window display, your imagination should run free here. If you do not have a window display option, create a shop center display. Let’s ring in the coming season with visual hypnosis, take beautiful pictures and post on all your social media sites and watch as you gain new likes and followers. 4. Get Your Floral Newsletter On! 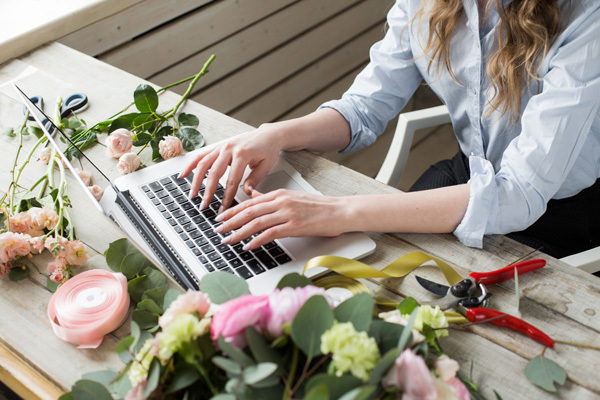 Flower shop promotions are the best way to create a buzz—send out a newsletter to all your email customers with offerings. The best part about newsletters is that you are creating a memory for the email recipients with your brand name, and best of all, email marketing works to get foot traffic. 5. Spruce Up the Place! I’m sure everyone’s shop is as neat as can be, but let’s just take a step back and using all the senses, walk around your flower shop. This is not only for the customers but for all who work at the flower shop as well. Make sure inventory is organized—ribbon, wire, tape and so on. Manage your floral displays, make sure your surfaces are free of dust and get your floral refrigerator clean. Florists, what are important things you do in August to prepare for the season ahead? Please share your feedback any related questions in the comment section below!